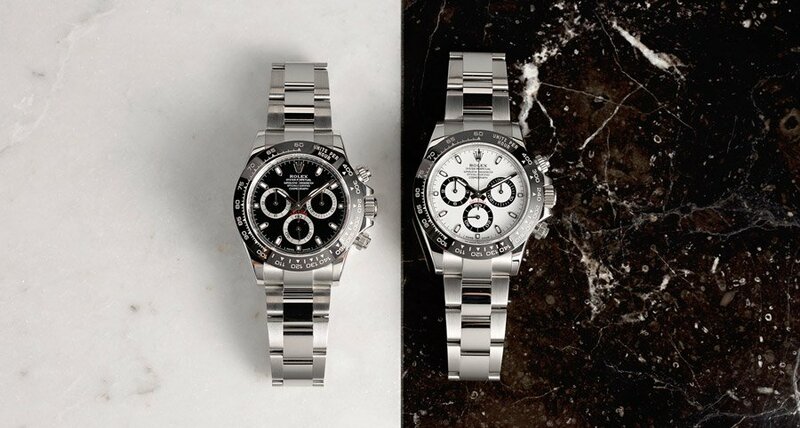 It’s hard to believe that it’s been a year since Rolex introduced the pair of steel and ceramic Daytona watches. While Rolex unveiled some solid pieces at Baselworld 2017—including new Daytona models—there’s still more buzz around the “older” Daytona ref. 116500LN from 2016. In fact, a stainless steel Daytona with a black Ceramic bezel is still a challenge to find thanks to its insane global demand. And one look at the stunning pair of Rolex chronographs, and it’s easy to see why. 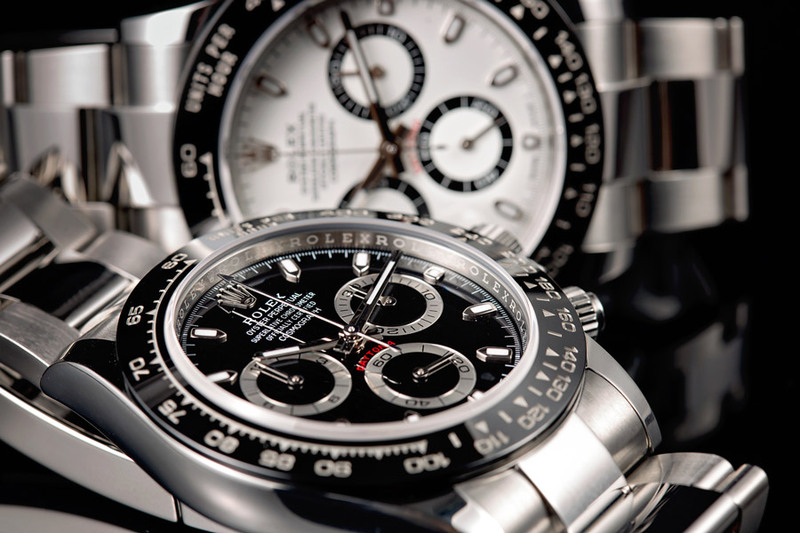 The Daytona 116500 has an insane global demand. Before we take a look at the steel and ceramic Daytona watches, let’s revisit what Cerachrom is and find out why it’s so desirable. The name “Cerachrom” is a combination of “ceramic” and “chrom” (the ancient Greek word for color). This is what Rolex chose to name their particular brand of patented ceramic alloy to be used on the bezels of their contemporary sports watches. The Cerachrom ceramic bezel made its debut in 2005 on the completely redesigned GMT-Master II. “Cerachrom” is a combination of “ceramic” and “chrom” (the ancient Greek word for color). 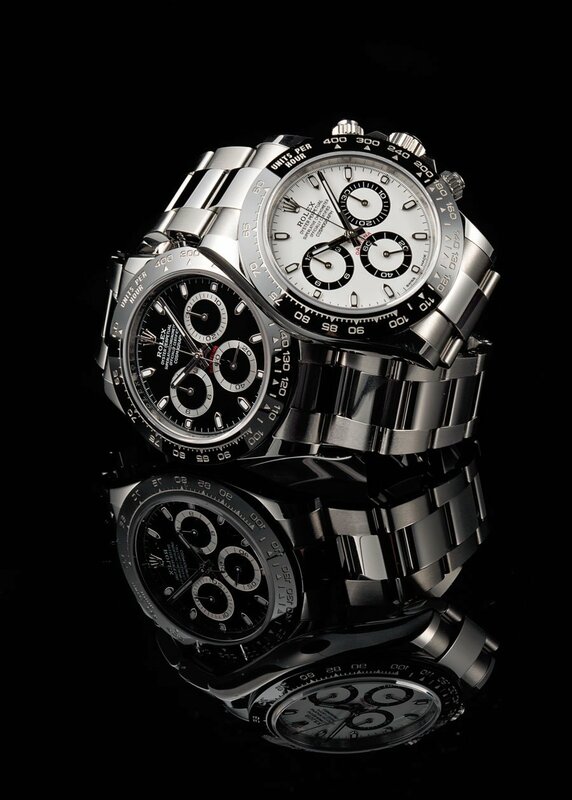 And finally, over a decade after the very first Cerachrom Rolex watch, the Daytona ref. 116500LN made its grand entrance to a very receptive audience. With its 40mm stainless steel Oyster case, black Cerachrom ceramic bezel, and stainless steel Oyster bracelet, the Daytona ref. 116500LN was exactly the Rolex chronograph everyone wanted. Don’t forget about its very close relative with a brown dial, the Daytona 116515. While the bezel has changed, the layout of the trio of registers remains the same on the new stainless steel Daytona models—30-minute subdial at 3 o’clock, small seconds at 6 o’clock, and 12-hour counter at 9 o’clock. 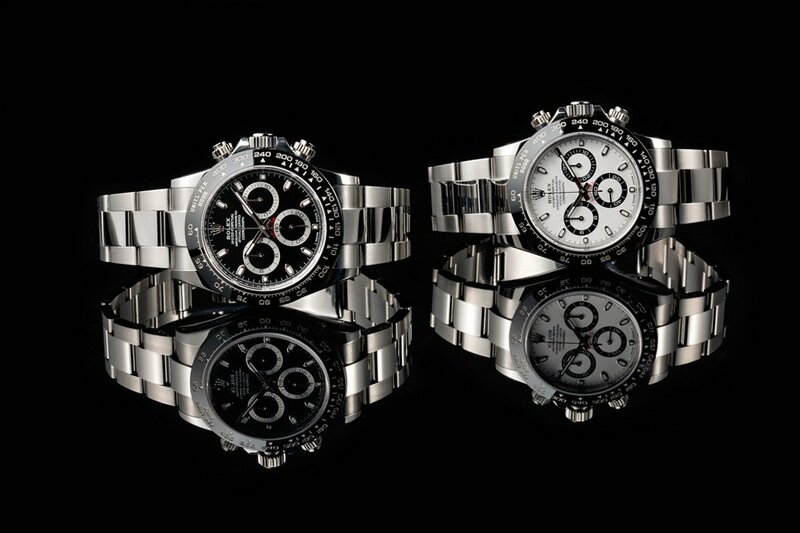 Rolex offers two dial versions of the Daytona ref. 116500LN—a black one and a white one. The white Panda dial is particularly reminiscent of some vintage Daytona models, while the black dial version coupled with the matching black bezel is exceptionally sleek. Each version has their loyal fan base, but frankly, both are glorious.